There’s always that one table of wedding guests who don’t know each another. They sit awkwardly, glancing around at the festivities, asking how everyone knows the bride and groom before all conversation stops. But if they had a few bottles of your favorite fruity pinot and that nice buttery chardonnay, socializing just might ensue. 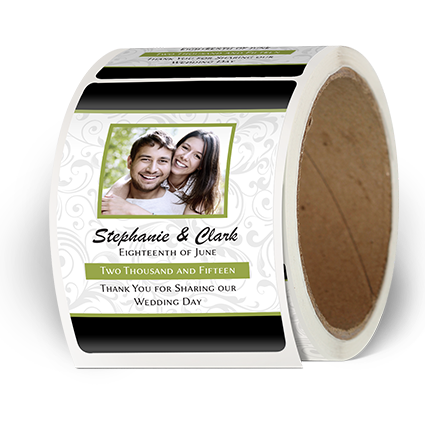 Make extra sure by creating personalized labels with pictures of you and your friends, or you and your partner. Not only is it a great touch but the table’s conversation might just flow like, well, you know.